Arizona is one of the few states to have created different levels of the DUI charge. While most DUI charges are classified as misdemeanors under Arizona law, there is a marked difference between a regular misdemeanor charge, an Extreme DUI, and a Super Extreme DUI. A DUI is classified as Super Extreme when your BAC is 0.20% or greater. Because this percentage is well above the legal limit of 0.08%, if you have been charged with a Super Extreme DUI you should secure the legal counsel of Phoenix attorney James E. Novak, P.C. He is a highly experienced DUI attorney who will work tirelessly to have your charges reduced or dropped altogether. Contact us today to schedule a consultation. If convicted of a first-time Super Extreme DUI, you will be facing heavy punishment. A guilty verdict means at least 45 continuous days in jail. Other penalties include more than $6,500 in fines, fees, and jail costs, a 90-day driver’s license suspension, and mandatory use of an ignition interlock device. If convicted of a second Super Extreme DUI, the penalties become even more rigorous, including 180 consecutive days in jail. You will also face fines, fess, and jail costs of more than $17,000, a one-year license suspension, and required use of an ignition interlock device. A Super Extreme DUI conviction carries some very serious penalties, but a good lawyer such as James E. Novak may actually be able to have your charges reduced or even dropped. Because breathalyzer tests are often the primary evidence used to prove a Super Extreme DUI, charges are often proved invalid because of faulty test readings. For example, the pattern of breathing significantly impacts the breathalyzer reading, and the last part of the breath can show a BAC that is twice as high as the actual percentage of alcohol. 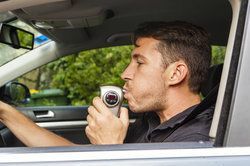 For this reason, when police officers encourage slow, hard breaths, they will gather very inaccurate readings that could push a regular misdemeanor charge into the realm of a Super Extreme DUI charge. There are a number of other factors that could result in inaccurate breathalyzer tests. These factors include weather, medications, diet, dental work, heartburn, a high body temperature, and medical conditions. James Novak has the experience you need to find the faults in the prosecution's case, and to protect your rights. A faulty breathalyzer test is just one of the ways in which attorney James E. Novak, P.C. might defend a Super Extreme DUI. Contact his offices today to schedule your consultation, and to find out what arguments he might use in your specific case. Mr. Novak has years of experience, and a track record of helping clients avoid punishments that far exceed the gravity of the crime. A Super Extreme DUI conviction can have a devastating effect on your life; trust your rights and your future to one of the area's very best DUI attorneys.